Here is September report on our local SE Michigan real estate markets in 2018. This report breaks it down into counties, some cities, and some geographic areas. It will tell you what our local real estate market is doing this month. There has been a slight shift and you should pay attention to it as I believe it will continue throughout our winter months. Here is the opening line from Real Estate One. For the first time in 10 years inventory levels are higher than they were in the same month of the prior year. Sales continue to lag behind last year’s pace. Is this a sign of a shifting market? In many Southeast Michigan markets, increasing average sale price has been providing a false or inflated indication that values are rising. Our Housing Report provides insightful information about what’s going on in your local markets and price ranges. I have been working with home buyers in the Downriver area, Livonia, Westland, Northville, Novi, Lake Orion, and lake homes in Oakland County. I also have listings in Allen Park, Livonia, Southfield, West Bloomfield, and Madison Heights to names some of the places. l myself have noticed a change in the last few weeks. I am seeing more homes on the market. I am seeing a slowing of showings on the homes I have listed. Yes, the very nice updated move in ready homes that are reasonably priced are selling. The homes that have “defects in the buyer’s mind” like small kitchens, odd layouts, or homes that need work are sitting on the market longer. Of course homes that are over priced are sitting too. My guess is that we are going into the normal fall winter slow down. What next year brings nobody can predict. However I believe that the higher interest rates are going to affect home buyer’s pocket books. They cannot afford as much. Also what effect Mr Trumps policies will have on the market long term nobody knows. Available inventory continues to rise month over month and on September 1st it was 17% higher than a year ago. August new pendings were almost even with the prior month, but 17% higher than last year. YTD sales were even with last year, but average price was up 7%. The market continues to be hot for the best listings, while average and below-average listings take longer to sell. August new pendings averaged only 35 days on market while listings that were still available on September 1st averaged 88 days—and counting. So just looking at the days on the market you are noticing that they are longer in September. September 1st inventory jumped 14% from the prior month, but was even with the same time last year. August new pendings were up 3% compared to both the prior month and prior year. YTD closed sales were down 6% while average price and price per square foot were both up 6%. The best listings continue to sell quickly compared to average and below average listings. Average DOM for August new pending sales was only 30 days compared to a 71 day average for active listings that were still available on September 1st. Inventory continues to rise month over month. August new pending sales were down 17 units compared to the prior month, but up by 20 over the same month last year. YTD closed sales were down 10%, but average price and price per square foot were both up 8%. Middle and lower-priced markets continue to shrink while the number of upper-end sales rises. The best listings continue to sell high and fast. Half of this year’s sales have been at or above full asking price. Market times for August new pendings (51 days) was about half that of last month’s listings that were still available on September 1st (99 days). Inventory levels continue to rise month over month and are 4% higher than last year. August new pending sales were 14% higher than last year. YTD, closed sales were down 6% from last year but both average sale price and price per square foot were up 6%. Lower-end markets continue to shrink while sales in the $400k—$800k market rose 8%. The best listings in all price ranges continue to sell quickly while less attractive listings sit. The average DOM for August new pending sales was only 39 days compared to the 109 day average for September 1st available listings. Here are two lakes in Waterford that you may like check out Woodhull Lake homes in Waterford MI and homes for sale on Wormer Lake in Waterford MI . Woodhull Lake connects to Lake Oakland so when you buy a home on Woodhull Lake you get two lakes for the price of one. You have more room to fish, boat, and enjoy the sunsets. You probably don’t know about these past four articles I wrote a few years ago. How to Be Successful! when buying or selling real estate is important and Hiring the right Metro realtor – top Michigan realtors is equally important. You don’t want to work with a realtor that is inexperienced, part time (they can’t show you houses or answer their phone because they are busy at work or with other things). 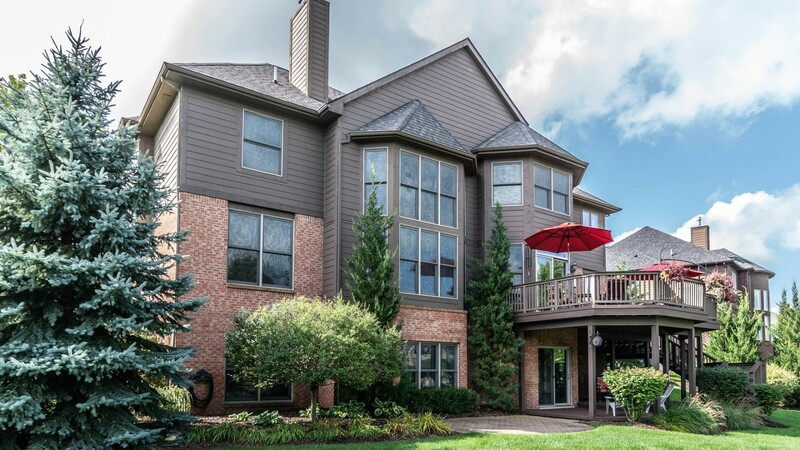 Here is a list of Farmington Hills Michigan Homes for Sale!. As a first time home buyer you may be confused about some of the lingo or the process. This can lead to worry, and even anger because you may not think it is normal when it is a common occurrence when buying a home. First Time Metro Detroit Home Buyer’s tip help you understand more. Feel free to reach out and call me with questions I know our local real estate market well and I have been in the business 18 years.